Detroit station WXYZ reports that the incident happened on Friday, and that the worker shown in the video was taken into police custody. According to the man who posted the Instagram video, the employee who spat in the pizza said he was “having a bad day” and that it wasn’t the first time he spat in someone’s food. What’s more, the man who filmed the offending video claimed he was fired for posting it on Instagram (even though there are no more home games at Comerica Park this season). What’s particularly puzzling is why this concession stand worker would willingly allow himself to be filmed during this incriminating act; perhaps it’s Darwin’s law at work. 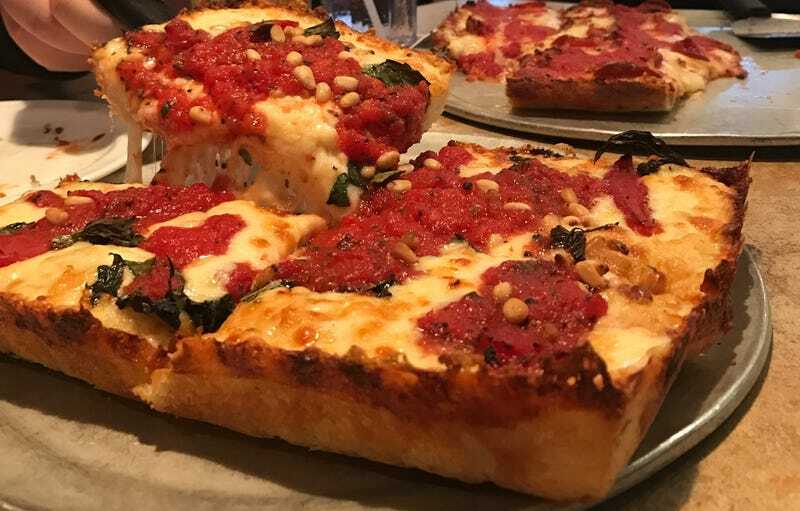 The worst part, though, is that it’s painting Detroit-style pan pizza in a bad light. Why did Google invent a fake pizza company called Doctor Fork?